This website is owned by Wi-GIM project. These terms govern your use of our website, and by using this site, you indicate your agreement to be bound by these Conditions of Use. 1. Restrictions on use of materials You may only use this website for your own personal domestic and/or non-commercial use only, provided you keep intact all accompanying copyright and other proprietary notices. You must not reproduce, republish, upload, post, transmit, or distribute any material from this website in any way without our prior written permission. Modification of any of the materials or use of the materials for any other purpose will be a violation of our copyright and intellectual property rights, as well as those of other relevant third parties. The website and all products, technology and processes it contains, may be the subject of our intellectual property rights, or those owned by relevant third parties. In accordance with the requirements above, your use of this website cannot in any way infringe the property rights of any of the involved parties. - Not to obtain or attempt to obtain unauthorized access to any of our systems. 3. If we (in our sole discretion) believe that you are in breach, or will be in breach, of any of these Conditions of Use, we reserve our right to deny you access to this website without reason and/or without further reference to you. Landslides and subsidence have an high destructive potential and often threaten people or structures. Therefore scientists have long tried to develop systems to monitor these processes. Although the effort lavished, the high cost of the current monitoring systems and the difficulties in setting them up in remote areas, limit their extensive installation. 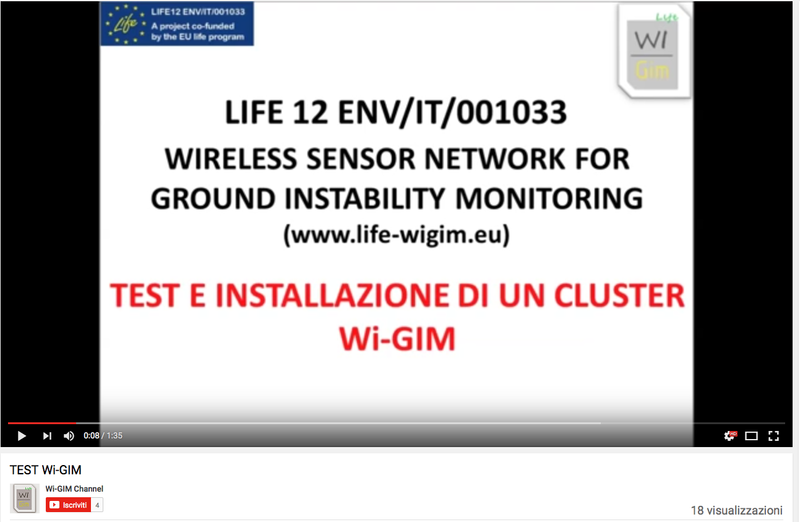 Wireless sensor network for Ground Instability Monitoring (Wi-GIM) project aims, in the frame of EU LIFE+ program, to develop an accurate, flexible and low-cost system for ground deformation monitoring. The Wi-GIM system is based on two types of wireless devices: the nodes (sensor node - SN) and base stations (Base Station - BS). 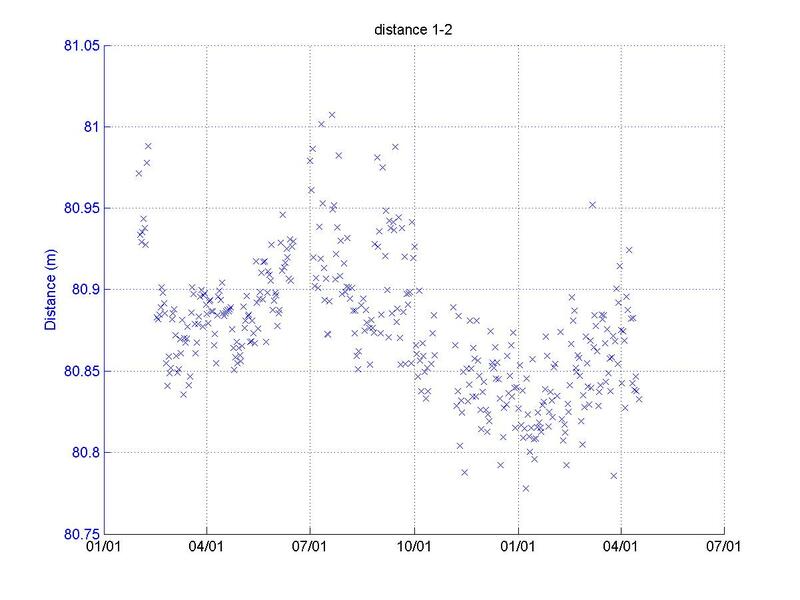 The movement of the landslide is detected by acquiring the position of each of the SN that are organized in a wireless sensor network (WSN), whose position is determined by integrating two different technologies, specifically designed for the purpose. The data collected by technology 1 are processed with the data collected by technology 2 in order increase the accuracy of the system. 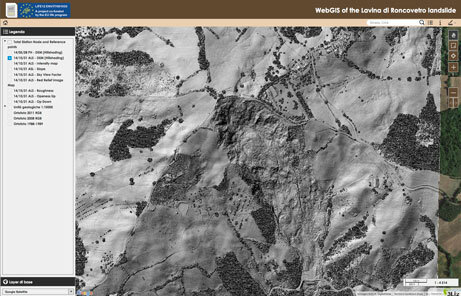 The displacements of the landslide can be then displayed in different modes, including 3D.